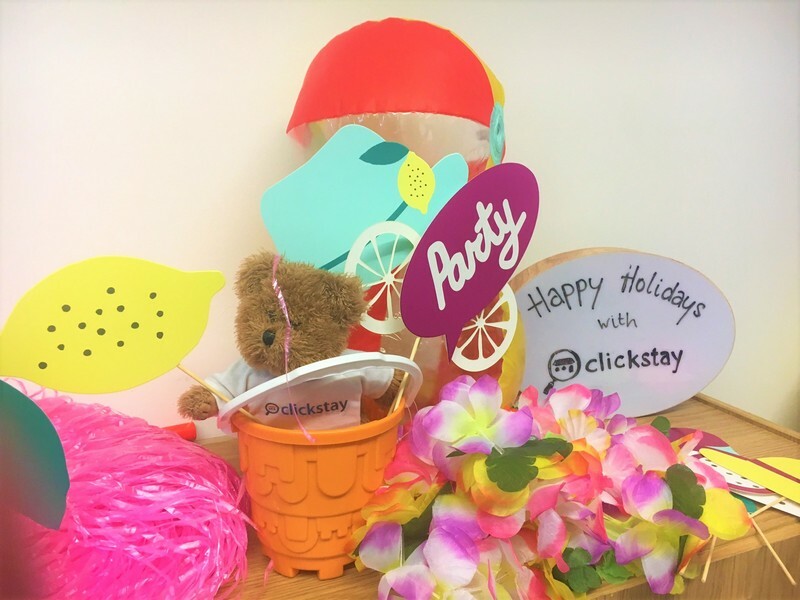 That’s right people, the Clickstay crew (including that absolute Diva of a bear, Claude) were at BlogConLDN 2018 and we can honestly say it’s one of the best events we’ve ever been part of! The whole thing kicked off after being approached by Blogging Celebrity Kirsty Leanne, who we’ve had the pleasure of working with in the past. 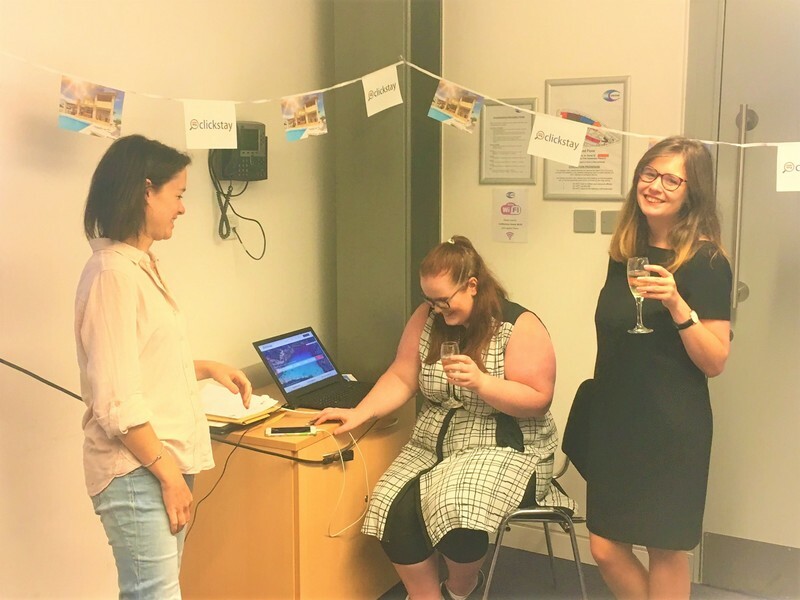 Kirsty explained the ins and outs of the event (which was being run by another well-known Blogging Guru, Scarlett London) before asking if we'd be interested in collaborating on a workshop with her. Well, we were hardly going to refuse an offer like that, were we? So, we agreed and that’s when the real work began. The weeks leading up to Blog Con were exciting, nerve-wracking and much more fun than we’d perhaps anticipated. The Clickstay marketing team, being me (Nakita), Lara (sometimes known as Croft) Claude (when he bothers to turn up) and Sophie (our leader and occasional life coach) had plenty of ideas, and in fact we had more ideas than we really knew what to do with. If we’re honest by the end of it some of them were getting out of hand, Sophie started talking about having some trained seagulls in the room to really get that beachy vibe and I was all for creating a musical based workshop complete with 12 original songs and with any luck, Benedict Cumberbatch as the starring role. Even Lara who usually likes to keep us grounded started rambling about doing a ‘Come Dine With Me’ type thing but with bloggers. Thankfully Claude was in that day and was as ever, the voice of reason. So, finally, after cutting back on the coffee, we decided to lose the seagulls and (sadly) Mr Cumberbatch and do something that would hopefully really help bloggers, and we decided the focus should be on the pitching to brands process. 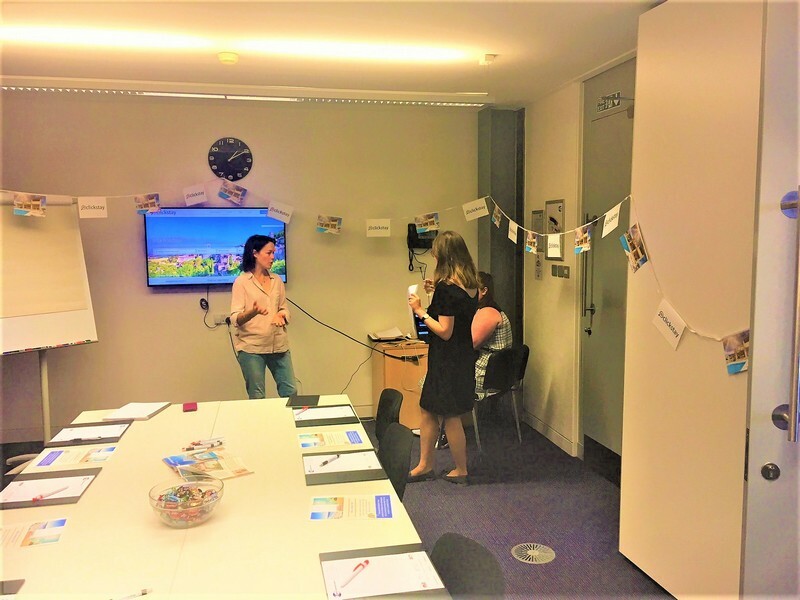 The premise of our workshop was simple, if you’re a blogger and wanted to pitch successfully to brands, then who better to tell you how than a brand who receives countless pitches a day? We’ve seen it all, the good, the bad and the downright inappropriate and it’s these experiences which meant we could give a list of what to do if you’re a wannabe blogger looking to make that jump from either having no professional collaborations or few, to bagging the press trips and sponsorships you really want. Even better, Kirsty then gave her insights from a blogger’s perspective, as someone who’s learnt from the ground up and since become a master pitcher (as in making a pitch, nothing to do with being able to pour well from pitchers, though we assume she’s equally as skilled in that regard too?). Between us as a brand and Kirsty as a blogger, we had the makings of a great talk, followed by an interactive workshop that got our audience thinking about their own pitches to brands, especially those brands outside of their niche. This part was the most rewarding. In all three of our workshops we got the opportunity to walk among our audiences and meet some great bloggers, some who were well-known faces, some new to the scene, and hear all the wild and wonderful blogging backgrounds they came from. The beauty (we hoped) of our talk was that it wasn’t elitist, it wasn’t an event JUST for travel bloggers and all the points we made were transferable no matter what sort of blogger you were or what kind of brand you were pitching to. Like I say, we HOPED that was the beauty of it. We were FAIRLY sure it was a good, practical, informative talk. Claude kept harping on about his Instagram followers loving this. He threatened to walk unless we took at least twenty photos of him. But there’s always that quiet fear isn’t there? That the thing you’ve created isn’t half as pretty when it’s out in the open? The fear was so strong that when the complementary champers was opened, Lara and I were tripping each other up in our efforts to get to the bar (Claude having been there for an hour already). Well, in the end, we got our socks well and truly knocked off in the best way possible. We had so many people approach us and tell us they found our talk really useful and that they planned to put ours and Kirsty’s advice into practice. There were lots of thanks, lots of praise, but more importantly, there were lots of really lovely chats. So, to all of you who were there and who we had the pleasure of getting to know a little, thank you from all of us, you made the day incredibly easy and hugely interesting. But that’s only part of the story. Oh yes, the plot thickens considerably. 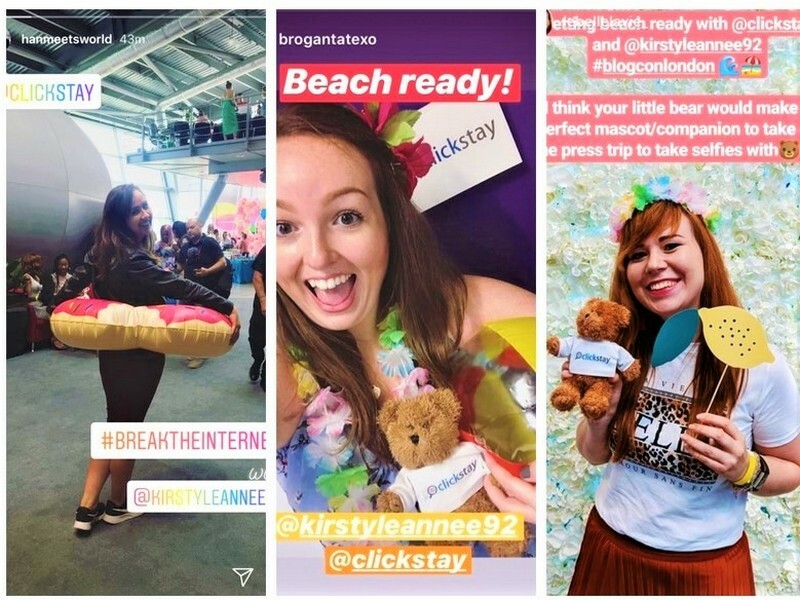 You see we also had a rather nifty competition running on in the background too, which entailed taking a photo at our Selfie Station (which came complete with beachy props and Claude who wouldn’t take no for an answer) and tagging us and Kirsty on social media. And the prize, well, it was possibly that most coveted of things: a press trip! The winner is yet to be announced so keep your eyes open, but for those of you who weren’t there to enter fear not, there’ll be more press trip opportunities coming up so watch this space. This was followed by Kirsty’s key points which were great to hear from our perspective too. Points about confidence, pitching with concrete examples of what you CAN and Will do, as well as thinking outside of the box were just some of the things Kirsty discussed and it was great to hear the other side of things. Finally, after a long but rewarding day, the Clickstay bunting was tugged down, the pens collected, Claude dragged from the bar, Lara rounded up from her freebie collecting and we headed home after a job well done. A big thanks to Kirsty and Scarlett for the wonderful opportunity, it really was a pleasure working with you both. And to all of you who came and chatted to us as well as getting involved in the competition, once again thank you too, you all made the day delightful and we look forward to working with you in the future. Did we miss you off? Sorry! Comment below so we can add you in! Want to work with us? Drop us an email or message us on one of our social media channels and check out our affiliate scheme!